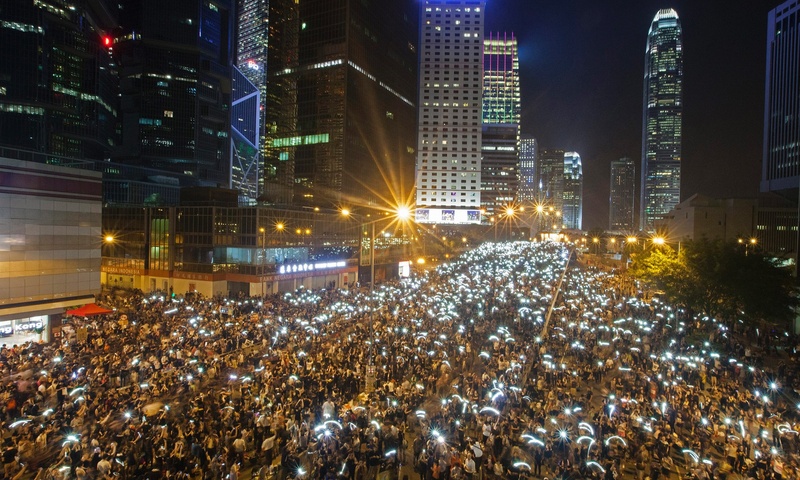 The current Hong Kong democratic protest will be an interesting case study in looking at the relation between liberal thinking, neoliberal economics and a totalitarian regime. China although still under the brand of a Communist country, their decentralised and open economic reforms since Deng Xiao Ping about 30 years ago are in essence belonging to a capitalist model – almost in parallel with Hong Kong’s long-established market capitalism. The degree of openness leads to what many critics labelling it neoliberal economics, which is based on Adam Smith’s liberal economics. As one of the Enlightenment thinkers, Adam Smith’s liberal beliefs recognize an individual’s freedom and potential to pursue their self-interest. The belief extends to economics. This freedom in thinking and taking charge of your own destiny inevitably ties to political freedom, i.e. democracy. China seems to have proven to other democratic countries that a totalitarian government can also successfully carry out liberal economic reforms. Deng adopted a moderate progression in deregulation through having state-owned and privately-owned companies competing side by side until the private companies eventually took over the state companies. It’s widely believed that the moderate progress is part of the main reasons why the reforms have been so successful. Although on the joint Sino-British Declaration, it claimed that China would not force their socialism into Hong Kong’s capitalism, in essence, China is in no difference to Hong Kong – both are in the neoliberal economic models (with minimum control from the government and little concern with state welfare), which give rise to many other social issues such as inequality, class conflicts, social immobility, globalisation, monopoly by big corporations etc. The people who are fighting for democracy in Hong Kong just now keep repeating that they want a transparent government. They want a government which is not to be controlled just by businessmen – this is actually confirmed by the current Chief Executive CY Leung himself that he wants to let the control of the government to be in the hands of the rich. It’s more than just a technical voting mechanism the protesters are fighting for. They are also fighting for a more egalitarian society. The undercurrent social issues caused by neoliberalism are the main driving force behind the unrest, either consciously or unconsciously. Europe has a longer history in practising democracy. After all, it started from Ancient Greek (not America as many who are fighting for democracy may have thought!!). After many revolutions, wars, upheavals, the Europeans have experimented different economic models taking into consideration many of the social, cultural and racial issues. Most European countries have now settled in with social market economy – a mix of open market and addressing social concerns. Is a neoliberal economic model without an equally liberal political system sustainable? The neoliberal economic issues may well be addressed through tipping the balance slightly to the socialist side and introducing more social reforms. However, how long can a suppressing political regime hold people’s free thinking in a free economic environment? After all, China only has just practiced neoliberal capitalism for only 30 years. Hong Kong was a British colony. Although it was not exactly an independent city, Hong Kong was used to the liberal society brought under the British rule, at least in the spirit. With only just less than 20 years after the handover back to China, the conflicts and tensions between a Westernised Hong Kong and a totalitarian China have gradually surfaced. The current Hong Kong democratic protests, which entail a mix of socialist sentiment against a neoliberal society and a repressed regime, may just be the beginning of a journey to see China’s closed political reform catching up with their liberal economic reform and at the same time addressing the issues developed from a highly capitalist society. Once freedom is tasted, there’s no going back. Free thinking is not just embodied in economy. It will extend to other parts of the society. This is unavoidable. The downfall of the dictator Augusto Pinochet in Chile after their liberal economic reforms witnesses this. views thrown about and deafening noises, but few signals. What the students need to go through is a rite of passage. They need to find their way out of the present deadlock created by an impasse with the governments in Hong Kong and China. And keep themselves intact and uncontaminated by sociopolitical biases and politics. After that, in twenty years, they may still be able to look at themselves in the mirror in morning without being revolted by what they see there.